Carrie and Camille have inspired me to share a picture of my first quilt. I began quilting in the late 1980s, but didn't finish my first quilt until 1998! 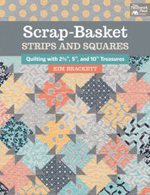 I collected fabric, cut pieces from templates, pieced blocks -- all the stuff that quilters do. But when I met my friend Karen in 1996, I had never finished a quilt! We loved primitive applique’ quilts, and decided to make angel quilts together. We were co-workers at the time, and we’d work on our quilts together at lunch, sharing fabrics and “body parts.” We used a lot of Red Wagon’s angel patterns and created some of our own. Our friend Darcy was traumatized by the lack of faces and hair (and sometimes hands and feet) in our angels. I hand-quilted it to death, using a very thin cotton batting. I wish you could feel how soft it is! Over the years it has been used and laundered so much. When it begins to deteriorate, I’ll put it away. But for now, I really enjoy using it and remembering how much I enjoyed working on it with my dear friend. And here are pictures of the most recent quilt I’ve finished that I can share right now. It’s a Christmas quilt made from a Sandy Gervais Christmas panel. I cut the panel into pieces and added blocks and strips to fill in the spaces. I think I’ve learned more about combining fabrics over the years. The fabrics I used in my angel quilt are very random. Homespuns, metalics, and everything between. Hope you’re all having a good week. 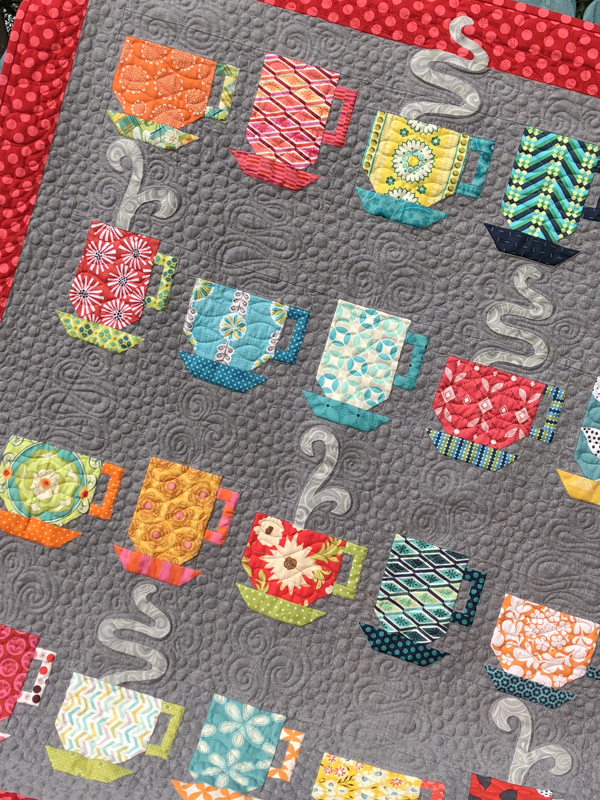 Be sure to go over to Camille’s and Carrie’s to take a look at the other first quilts! Oh these are just beautiful Kim!! Wow I love that angel quilt. It has a real spirit to it. 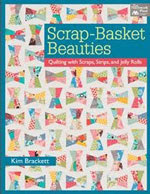 I love seeing it with something new to see how you've grown as a quilter. Just beautiful. Thanks for sharing. that is dedication... to work on a quilt for that long!! props to you!! and nice work with the panel... i love to see them used in different ways! I love your style of quilting....you are so amazing. I love your angel quilt! The hand-quilting on it is spectacular and I can just imagine how amazing it looks and feels in person. I think it would be hard to put away and not enjoy, but at the same time, it's so special that it deserves to be preserved. Thank you for sharing your quilts and your stories. OMG I love your angel quilt. That is soooo cute. The newest one is nice too but that angel one.............wonderful!!! They are both so gorgeous...and the hand-quilting is spectacular...wow! I would never have had the patience to do all that hand-quilting...especially on a first quilt! I have collected them over the years, I find them so inspirational. Kim, I really enjoyed reading this post. It's exactly the sort of story one imagines I think. Friendship and Quilting. I have to say your hand quilting there is exceptional. I really had to stop and linger over that. And your Christmas quilt is so fun! ...the fabrics Rock! There's nothing left for me to say - karendiane has just said it all for me: love the story of friendship, love the quilts, love the hand quilting and love the blog. Thanks. By the way, I'm not daft, there are no photos of my first quilt! Heehee. Ditto on what KarenDianne said! :-) Your quilts are just wonderful. 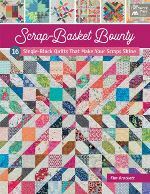 I have to say it is ok to use "whatever" scraps you have for a scrap quilt....if we didn't have money to be choosey and pick what came off the bolt we would use "whatever." Right? 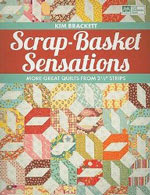 I recently purchased your Scrap Basket Surprises book, I love it! Your first quilt is beautiful and what a great memory along with it! The Christmas quilt is very pretty too. Wow, what a great start to a quilting career! I will try to dig out my first quilt and show a picture. You will feel very good about yourself in comparison :-) The angels and the quilting are an amazing start! I love what you did with the Sandy Gervais panels. Very cute! Love Love Love all the quilts! Your post is very interesting. How great that your first finished quilt was done working with a friend. And interesting that you created some of your own angels. I am a big fan of the old Red Wagon books. A very good quilt! The quilting is something to really admire on that. I love those folk art angels! Oh my gosh, your quilting....That was your first effort? Oh my gosh again! Your work is simply beautiful. You win! Yours is one of the best I've seen! Really, that was your FIRST quilt? You were brave then to attept that. Very pretty--even still! Wow, your quilts are fabulous! I don't believe that was your first one, it's too pretty! 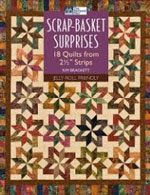 I thought all first quilts are folded up at the bottom of a dark closet. Your angel quilt is amazing. I can not even imagine starting out on a quilt like that with all of the skills needed to complete it! The angek quilt is lovely, It would probably take me just as long to make something as intricate and as stunning as that, I'm glad you had the staying power for it! I love your Christmas quilt!! What a beautiful first quilt. It must have been fun. Lots of great memories with it. Those are the best kind of quilts. Your quilts are incredible! Works of art. I finally did my tag!!! Hope you are having a great week. Wow, wow, wow! So incredibly beautiful. Your angels came out so beautiful! I so love the Christmas quilt too! Your first quilt was very ambitious and turned out to be worth hanging in to see it finished. Such a joyful and whimsical quilt. Must have felt just wonderful to finish it. Love them both. The hand quilting looks fantastic! Great quilts! Keep up the good work. Wwo.. wish my first quilt looked like that..:o)) Love both of your quilts.. first and recently!! Great ideas -- beautiful work.. Thanks for sharing. These quilts are just so much fun to look at!